About a year ago, I purchased two slat style shutters with chippy red paint at one of my local favorites Jackson's Icebox Antiques & Collectibles. 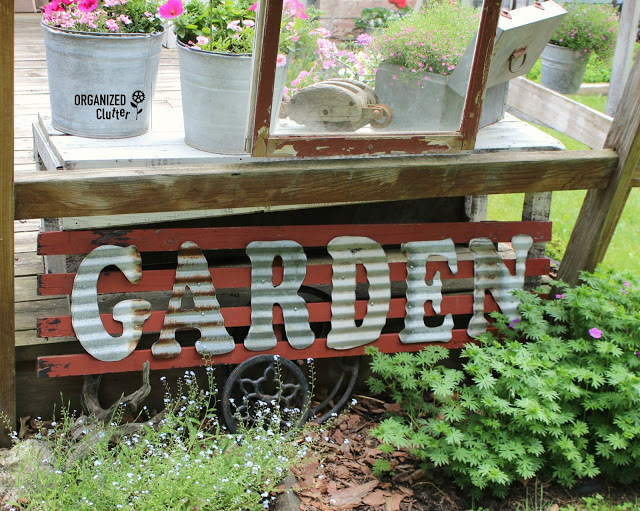 I added some galvanized letters to one of the shutters and placed it in my junk garden. I have added white iron hooks from Hobby Lobby to the shutter number two, and a wood sign on a pine board. 24" x 5 1/2". The sign is base coated with Annie Sloan Chalk Paint in French Linen and stenciled with *Old Sign Stencils Market Extension Stencil "Vintage". The stars are a Plaid stencil. 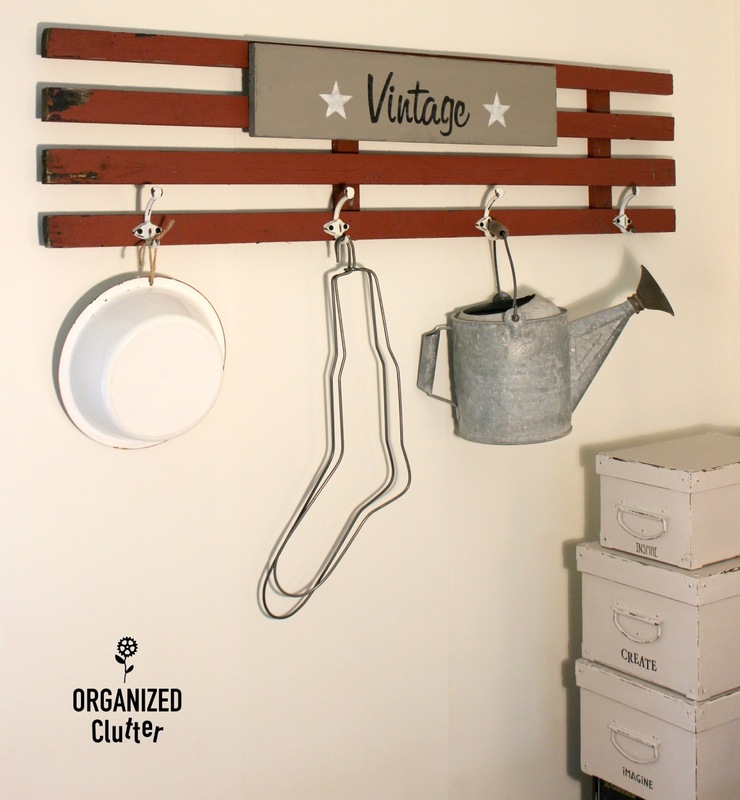 These iron hooks will hold some of my vintage blog props. My room makeover is almost complete. I am happy with the results, especially since I re-used almost everything and spent very little money! I have not seen galvanized letters......I must begin a search. I'm going to copy your cute idea. As always, thanks for sharing! The GARDEN sign on the shutter is right up my alley. Did you find the corrugated tin letters already cut out or did you cut them? That sounds arduous if you cut them. I'm just thinking that I couldn't do it with the arthritis I have in my hands. But I love the look of the corrugated metal. Love, Iove, love both of your signs!! Such great inspiration found, as always! Love your style.